Motorcycles can be capricious creatures. But there are a handful that are essentially bulletproof—simple machines that are simple to fix, and cheap to run. 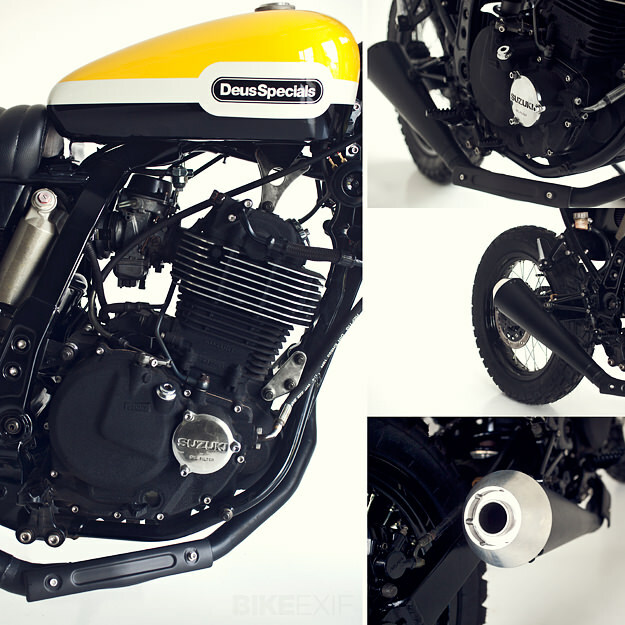 One of those is Suzuki’s venerable DR650, which has been around for at least twenty years. The stock bike is as ugly as a toad, but it’s not hard to see why it still sells. In the US you can ride one out of the showroom for less than $6,000, and you’ll be riding on a wave of torque from the big aircooled single. The donor bike here is a 1997 model, although you’d be hard pressed to tell it from a 2012 model. 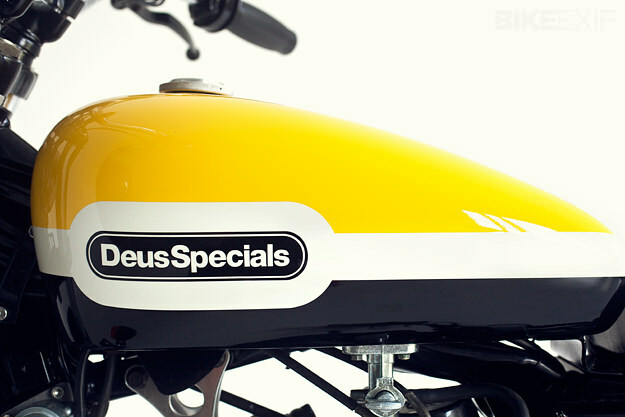 Deus dismantled the DR, pulled the engine apart, cleaned it up and painted it in a black wrinkle finish. They fitted a custom oil cooler and a reverse cone muffler “so you can hear her coming down the road”. 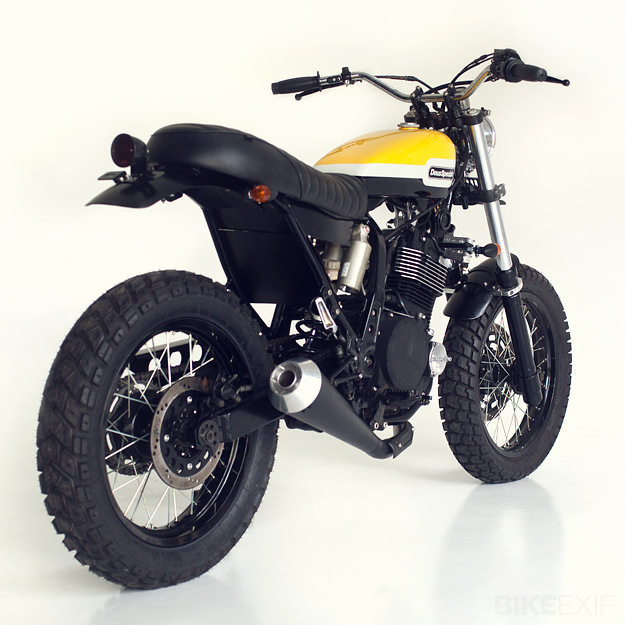 The suspension has been swapped out for Honda CRF bits, and the acres of plastic have been binned in favour of a custom tank and seat combo, enlivened with a splash of yellow. A fresh set of Heidenau rubber sits on wider wheels, with the rear upgraded to an 18” to match the front. 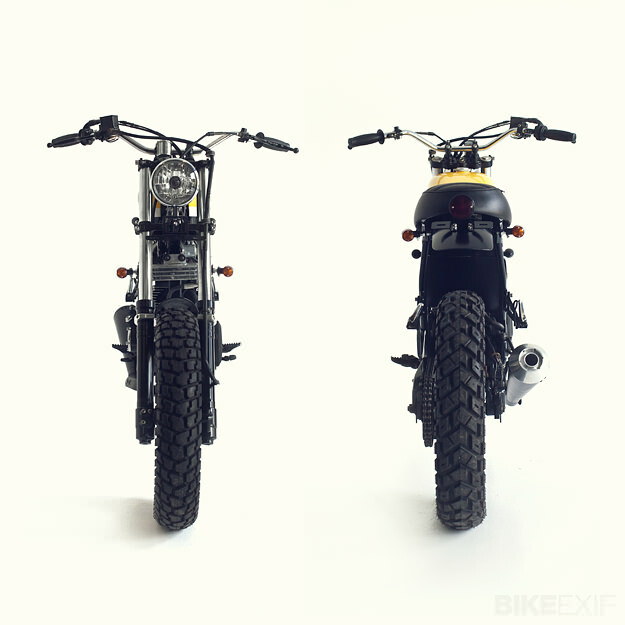 Minimal instruments sit atop Ventura street tracker bars to complete the look. 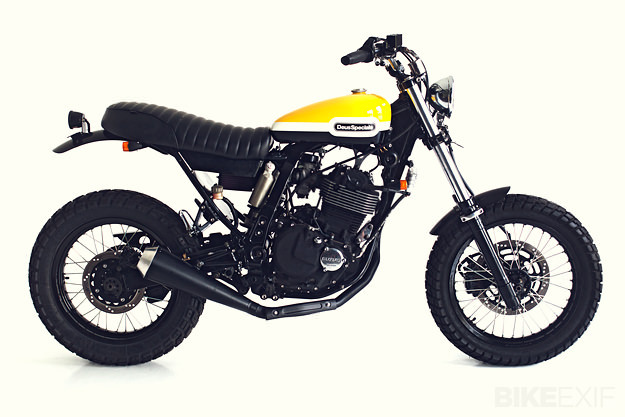 The DR650 has always struck me as a bike you’d buy with your head—or wallet. But with a makeover like this, maybe there’s life in the old dog yet.